Let me guess…your Facebook time line is saturated with images of cows and misspellings. The Chick-fil-A bovines are everywhere in the wake of their COO’s somewhat sad rant about God “shaking his fist” because of gay marriage and the public learning about the millions in donations to misguided crusaders like those at “Focus on the Family.” I don’t want to re-hash everything here, because you obviously know all about it. Full disclosure requires me to admit that, personally, we have stopped eating at Chik-fil-A. We have no dreams of making Mr. Cathy change his mind or hurting company profits. It is merely a symbolic act of solidarity combined with a half-assed attempt at a diet. However, I was compelled to post on this quickly to share three recent developments that those who are following the “scandal” might not have seen. Please find those three developments below..
First, the Jim Henson company (i.e. Muppets) decided to end its relationship with Chik-fil-A. 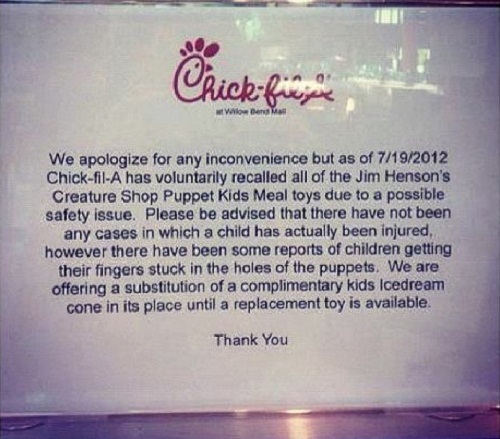 In other words, kid’s meal at Chik-Fil-A can no longer include Muppet toys. BUT, yesterday the company decided to pretend that the lost Mupper toys were not caused by the Cathy-gate fall-out. Instead, get this, they claim its because of defects in the Muppet toys. Does the company really think people will just assume it is one bizarre coincidence that the toys were pulled as a result of children “getting their fingers stuck in the puppets” instead of the decision by the Jim Henson Co.? Is lying one of the Ten Commandments? Pathetic, Chick-fil-A. Second, many commentators today pointed out the absurdity of Chick-fil-A’s claim regarding the Muppet toy recall. Yet, mysteriously a commentor popped up to “respond” to unflattering Facebook posts. The Pro-fil-A commentor seemed suspicious, and it wasn’t long before detectives figured out that the commentor used a stock image of a woman as their picture and created a Facebook profile only four hours ago. In other words, someone (Chik-fil-A PR folks?) created a fake commentor to spread fake support about the company on individual Facebook pages. Super pathetic, Chick-fil-A. 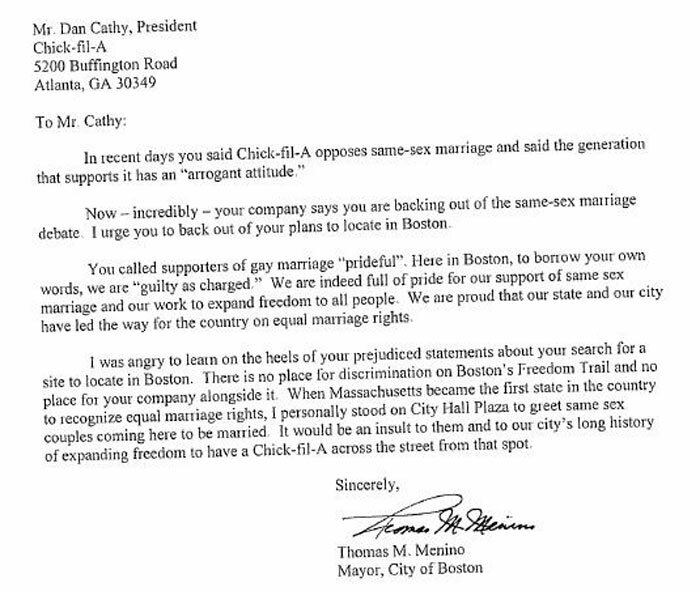 Third, no matter what you think about Chick-fil-A or its owners, the comments by its COO on a hot-button political issue should not be used by elected officials in decisions about business development in the areas they represent. Some elected officials (most notably Boston’s mayor and aldermen in Chicago) have suggested that permits, etc. 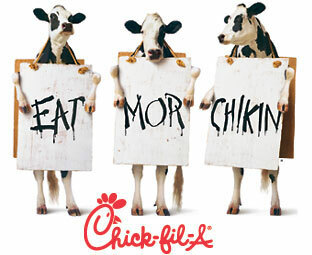 will be denied for Chik-fil-A stores because of the scandal. Not cool. Even those of us refusing to eat their delicious sandwiches and waffle fries should stand against this bridge too far. Let individual consumers and other businesses decide how to respond to Cathy-gate. Elected officials should not mistake their distaste for the comments as a legitimate reason to treat the company differently under basic economic development principles.